A state oversight panel voted Tuesday to retain 10 business incentives after its consultants rescinded a recommendation to repeal one of them and the state commerce secretary intervened to rescue another. Consultants hired by the state have recommended curtailing a big tax break for wind-power electric generating plants and repealing smaller incentives for movies made in Oklahoma and industrial access roads. A state commission examining business incentives was unaware that an $89-million subsidy for tire manufacturers was not specifically named on its review list. But state officials say the panel will evaluate the program, two years after subsidy recipients can apply for more funding. Here’s a breakdown of amounts for unused tax credits. A new state oversight panel has decided to target for scrutiny this year 11 business incentives that have been reducing state revenue by at least $110 million a year. Among the targets is an incentive for wind power generation. Unused tax credits have created a big cloud over future state revenue collections, and officials say they can’t predict with certainty when or even if a storm might strike. Some state lawmakers are justifying their decision to curtail a tax credit for the working poor by declaring the state shouldn’t subsidize people who owe no income taxes. But several state tax breaks essentially do the same thing for businesses. 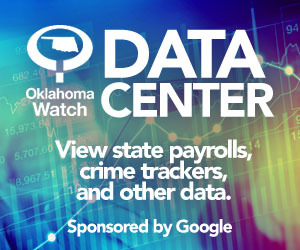 A big investment tax break that generally benefits the affluent and businesses is under scrutiny as state officials search for ways to address Oklahoma’s budget crisis. The state expects to pay out $158 million in rebates next year to operators of newly unprofitable oil and gas wells. About a third of Oklahoma’s sales and use tax exemptions apply to specific charities and other nonprofits. But making sense of why some groups get the tax break and others do not can be difficult.